The History Department at NTU has been in existence for over 80 years. 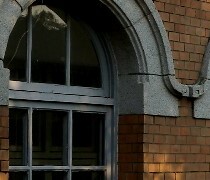 In 1928, the Japanese Colonial Government in Taiwan established Taihoku Imperial University; its College of Liberal Arts and Law was home to Historical Science, the forerunner of today’s Department of History. After the conclusion of World War II, Japan returned Taiwan to the Republic of China, and Taihoku Imperial University was reestablished as National Taiwan University (NTU). After 17 years, Historical Science was reorganized as the Department of History, which now is Taiwan’s oldest institution of historical research. The Department is known for its transmission of excellent scholarship in Chinese History, Western History and Japanese History. The Department is also known for its distinctive studies in Taiwan History conducted in light of Southeast Asian history and anthropology (especially ethnology but also physical anthropology). The present Department of History was established in November 1945. Due to vicissitudes of time and history, a group of first-rate historians came to Taiwan to carry on their scholarship and teaching. Since then, the Department has continued to develop and transmit their legacy-- the Modern Chinese Historiography Movement. With this solid foundation, we successfully preserved our academic core during the repressive ‘50s and ‘60s and continued to be the vanguard of historical inquiry in Taiwan. In the late 1960s, the Department of History led in incorporating the new methods of social science to analyze historical data. This effort stirred all sorts of new reflections and ushered in a bright new page in the writing of Postwar History. With the political and economic liberalization of the mid 1980s, historical studies conducted at the Department became more free and diversified, especially in the fields of Taiwan History and Western History. In the late ‘90s, East Asian History began to receive more attention, reflecting this new global trend in historical studies. Additionally, the Department has published Historical Inquiry, with an independent board of editors. This journal has won the acclaim of historians worldwide and is regarded as the best academic history journal published in Taiwan. The Department has an undergraduate program, as well as graduate and doctoral institutes. Full-time faculty at the Department number about 30. Most faculty specialize in Chinese History while the rest specialize in Taiwan History and World History (mostly European or American). Hence, the Department stresses Chinese History, Taiwan History and World History. Undergraduates are required to take general courses in each of the three areas during their first 1 or 2 academic years. We take historiography seriously, so undergraduates are required to study famous works of history, the history of historical studies, and historical methodology. At the same time, we offer an abundant and diverse range of elective history courses. Our instructional ideal is to provide both specialized courses in history as well as humanistic general courses. The academic range of our graduate students reflects the present state of our faculty resources and of historical research in Taiwan. Prior to the ‘90s, most doctoral students studied Chinese History; since then more and more have been studying Taiwan History. Also, the General History course is one of the course requirements every undergraduate must take at NTU. Our faculty also offer many courses in the general education program. Hence, our historical studies are not limited to esoteric topics in the field; our faculty also offer courses that form the core of humanistic education at NTU. We have been witnessing major changes in the practice of historical inquiry in the present century. In response to the pressures of globalization, increased professionalism and competition, we are proactively developing a new instruction and research system and building research teams. “Instruction and Research Platforms” is one of our key projects. In 2008, after assessing our research condition and outlook, aided by funds from the ROC Ministry of Education’s “Aim to be the Top University Project,” we identified the major breakthroughs in historical inquiry and pooled expert scholars (including graduate students) and research materials, in order to set up five instruction and research platforms, including “History of Cultural Exchange,” “Taiwan and Asia-Pacific Studies,” “Medieval and Early Modern Chinese History,” “Chinese Intellectual history,” “Modern Chinese History.” Each of these platforms has yielded an abundance of solid research results, which are posted at the Department website (http://homepage.ntu.edu.tw/~history/), where besides accessing platform research information, one can communicate with history scholars from around the world.